Now you can master your music with the confidence and know-how of the multi-Grammy Award winning studio — Lurssen Mastering in Los Angeles, CA. 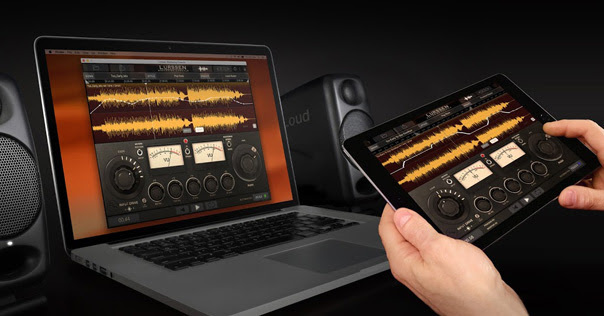 Lurssen Mastering Console is a new and totally unique audio mastering application for Mac/PC and iPad that lets you get professional mastering results utilizing the signal chain, settings and "secret sauce" used every day to master the world's biggest hits. It comes with 25 different “Styles” presets that replicate the gear chain and settings used by the team at Lurssen Mastering for different musical genres such as Americana, rock, country, hip-hop, EDM, pop and more! Lurssen Mastering Console operates as a standalone mastering workstation or as an Audio Units, VST 2, VST 3 or AAX plug-in inside your DAW. Lurssen Mastering Console for Mac/PC is now available for a limited time at an introductory price of $/€199.99 from the IK online store and authorized retailers. You can download and try it out unrestricted for a full 10 days.